Dawn Gile has been a member of MSJDN since 2012 and has served on the Justice for Military Families committee, the pro bono initiative of the Military Spouse JD Foundation. 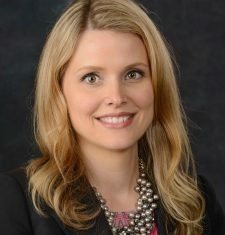 She has been in private practice for over ten years and is presently a partner with MacDonald Law Group, LLC, where her practice focuses on complex civil litigation, toxic torts, and insurance defense. She is the proud spouse of an Army soldier, with whom she has two girls. Originally from Illinois, she and her family now reside in Maryland. Dawn also volunteers her time by serving as a director on the Rockford University alumni association board and as the leader of her husband’s unit’s family support network. Dawn is admitted to practice law in Illinois, Maryland, and the District of Columbia.